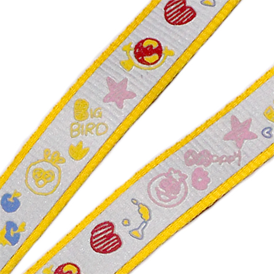 Reflective band with screened imprint. 1 PMS color step and repeat imprint on 1 side of lanyard. Additional color is available for an 0.18 (A) running charge and a 30.00 (G) set-up charge per color. An 80.00 (G) sample charge will be refunded when order is placed. Design changes will incur an additional charge. Overnight shipping charges apply. Pre-payment may be required. Adds 2 weeks to delivery. 15 working days after artwork or pre-pro approval. 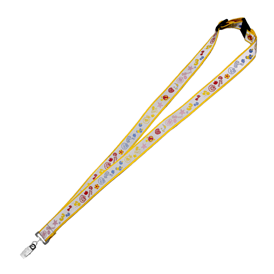 Shipping weight is approximately 28 lbs per 500 3/4" lanyards.